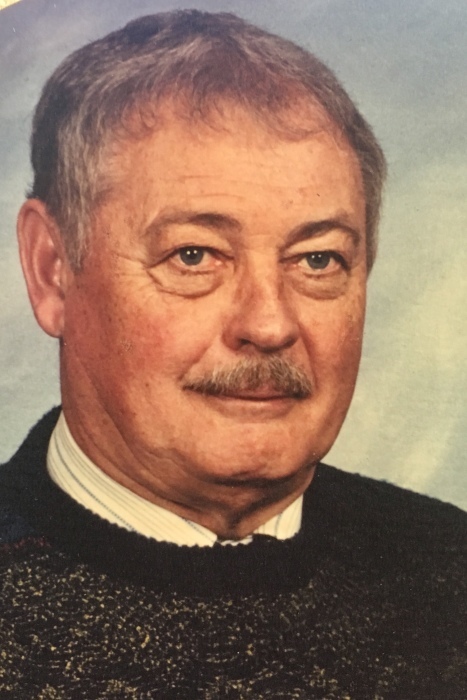 WOLCOTTVILLE — Ottnel S. "Otto" Ebey, 82, of Wolcottville, passed away Sunday, Jan. 20, 2019, at his home on Witmer Lake. He was born on Sept. 2, 1936, in Wolf Lake to the late Oscar and Gladys (Stewart) Ebey. On Nov. 11, 1958, in Albion, he married Nyla Truelove, who survives. Mr. Ebey was a barber by trade. He also worked for Albion Lumber for many years. He belonged to the Kendallville and Albion Lions Clubs, and nSons of the American Legion Rome City Post 381. In his free time Otto could be found on his pontoon on the lake. He loved fishing trips, camping with the family, and enjoyed wintering in Florida. In addition to his wife Nyla, he is survived by a son, Brad (Teresa) Ebey of Albion; and daughters, Terresa (Mike) Shellman of Albion and Sarah (Jeff) Slain of Columbia City. Also surviving is a sister, Margaret Murphy of Columbia City; grandchildren, Daniel (Marissa) Ebey, Douglas (and friend Lindsay Hagerty) Ebey, Cheyenne (Jeff) Warrix, Brock Shellman, Brett (Carrie) Shellman, Bryce Shellman, Jacob Slain, Nicholas (Ellen) Slain and Rylee Slain, and 18 great-grandchildren. Also preceding him in death were seven siblings. A funeral service is 11 a.m. Thursday, Jan. 24, 2019, at Harper Funeral Homes, Albion Chapel, 771 Trail Ridge Road, with visitation one hour prior to the service. Visitation is also from 2-8 p.m. Wednesday, Jan. 23, 2019, at the funeral home. Burial will be at Sweet Cemetery, rural Albion. Memorials are to St. Marks Lutheran Church glass preservation fund. To sign the online guest book or leave a condolence, visit harperfuneral homes.com.